I believe that society's claim on political correctness is a universal embracing of dishonesty. While I believe strongly that no individual or demographic should be excluded, defamed or diminished I stand by my own freedom to express myself honestly, with no qualms about how that might make someone feel towards me. I don't strive to hurt with my words but come on, if they forget the mayo on my Tim Horton's sandwich I'm going to feel gypped. In the second grade my son did a unit on our northern neighbors. I asked him to tell me five things he'd learned about Eskimos. He was horrified. "Mommy, NEVER call them that!" So, Eskimo is derogatory and I've offended my son. My husband is my husband and though he is my partner for life I will not introduce him to you as my life partner. I will not tack on my sexuality like a name tag because, though it is a part of who I am, it is not the sum of the whole and I will raise my children to understand God's design for sexuality regardless of the Canadian government or the school board. He is bald, not hair disadvantaged. She wears glasses and is not optically challenged. It's a paper bag, not a processed tree carcass. It's a pet, not a non-human companion. It's a butchered chicken, not a voiceless victim of speciesism. I am a woman, not a human animal. It's a bouquet of wild flowers, not a botanical soul mate. If you sneeze I will ask God to bless you. Go ahead, be offended! The Urban Dictionary defines political correctness as "the way we have to speak...so we don't offend whining [insert politically incorrect word here]." I say, get over your whining. 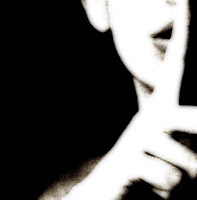 We can speak truth without offense if everybody would just grow up and gain some self-confidence; otherwise, we all need to take a vow of silence - adopting muteness as our creed - so the only offense we can render is an obscene hand gesture. Have you submitted this anywhere? you should. globe and mail opinion? I miss you, and I love reading your blogs, they are both throught-prevoking and hilarious!